On an island known worldwide for its five-star cuisine and flawless golden sandy beaches, often Anguilla history gets overlooked. 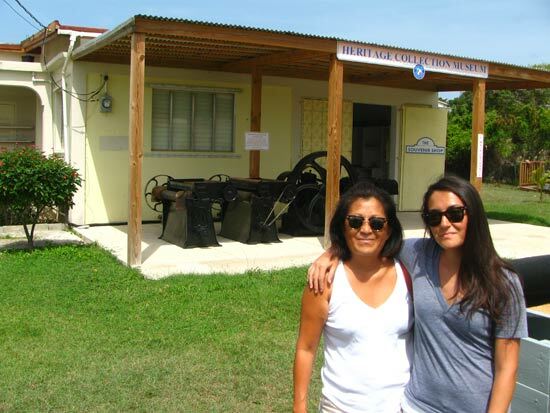 It took us a couple of trips before we started picking up Anguilla books on the island's history and exploring Anguilla history in the flesh at the Heritage Collection Museum. Such knowledge and experience furthered our appreciation for our hidden treasure of an island! Up until now Anguilla history has always been shared through story-telling, museum visits, or reading. But what about living Anguilla history? 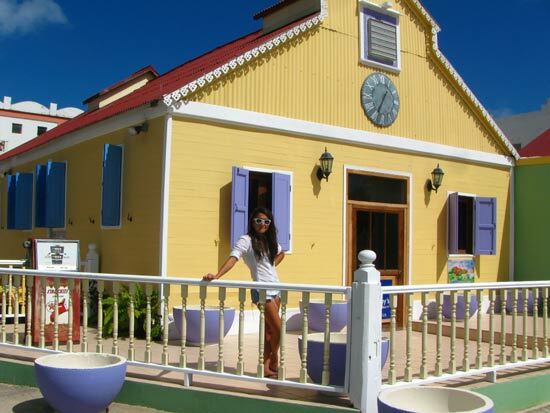 Could Anguilla history be blended with site seeing? 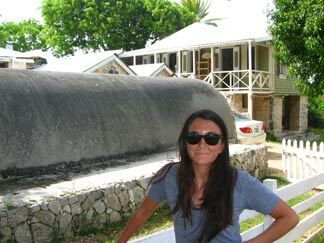 A PhD student from England (Lilli Azevedo) thought so, and began an island-wide initiative to preserve Anguilla history. The result? 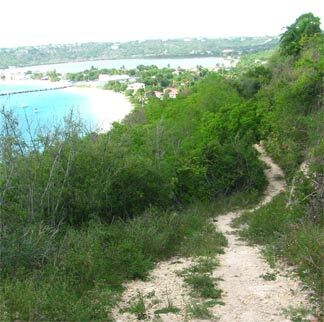 "Anguilla's Heritage Trail" a self-led tour of Anguilla history. 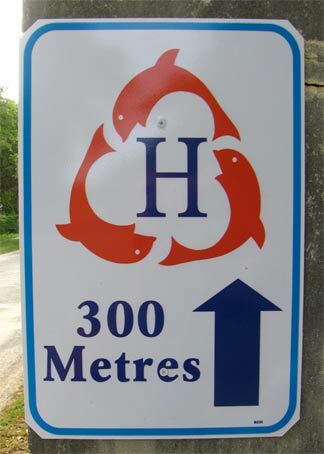 With a handy brochure/map, carefully placed roadside markers directing you, and plaques at the appointed historical sites, making an afternoon mini-road trip of it is the best way to get in touch with the island's past! We first discovered the Anguilla island Heritage Collection Museum a couple of years after our first visit to Anguilla in 2002 when it was still in West End. The National Heritage Museum has sinced relocated to the East End. Mr. Colville Petty sure has expanded it! 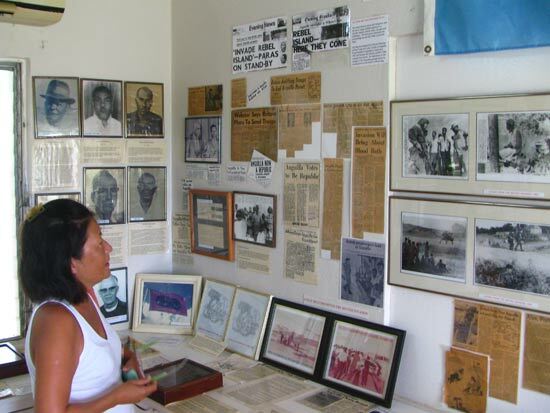 The museum covers every inch of Anguilla history. Beginning with Anguilla's geology, history of the Arawaks, hidden caves and sea life, to stories of Anguilla's sugar industry and history of slavery, he even covers Anguilla's off island cay, Sombrero Island. Mr. Petty has recovered a large amount of artifacts from Arawak times to silverware, cooking pots, and washing boards. 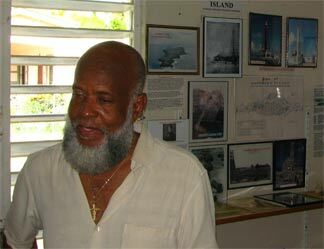 Mr. Colville Petty is a kind, gentle man with pure passion for Anguilla. You can see it in his warm eyes. He will share any story, answer all questions with the same care and love expressed in his devotion to the museum. 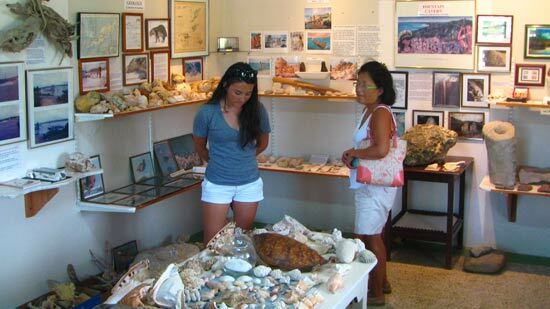 With a full spectrum of Anguilla's rich heritage, The Heritage Collection Museum is the best point to embark on a historical jounrey! Note: Don't forget to ask Mr. 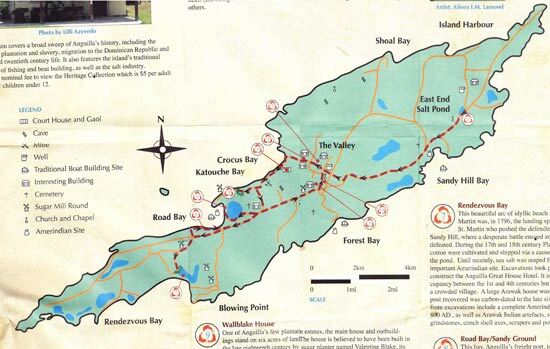 Petty for an Anguilla's Heritage Trail map to guide you along the rest of the trail. Along the tour keep your eyes peeled for these signs. They lead the way from site to site. Some of them mark the approximate distance. Others are just friendly reminders that you are on the right path. Don't mistake the "H" for hospital signs! 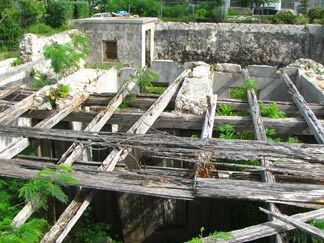 The Old Valley Well is located at the entrance of the "Old Valley," Anguilla's historic village that features both Anguilla's oldest building and first hospital (more on that later). 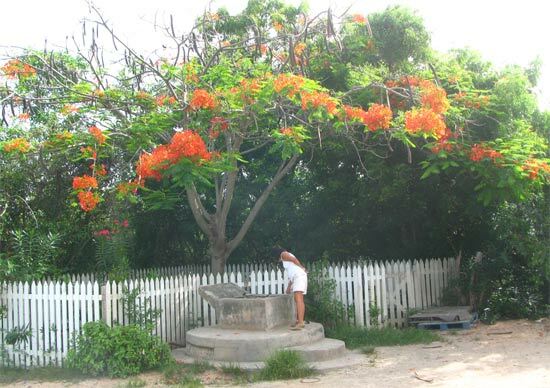 As you will see on your Anguilla map, this well goes all the way back to the days of the Amerindiens. It is an impressive five feet wide, sixty-five feet deep, all hand dug! This well was important to the local community, not only because it gave water, but because it brought the island together. Mothers would gather, collecting water for their families with their children by their side, meeting other families. 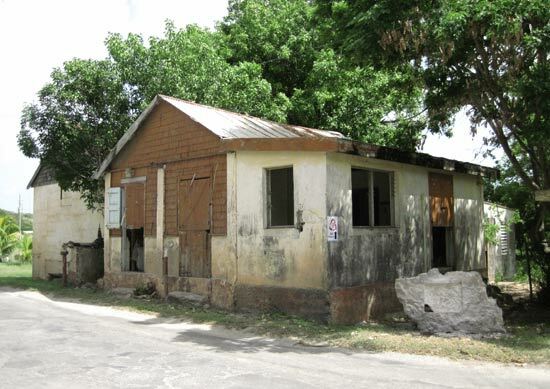 Eventually it was adapted and was known as the "Water Works" before becoming the "Anguilla Water Department" and later, it gave the island its first water pipe. You might know this 18th Century Plantation home as Koal Keel, one of Anguilla's most picturesque restaurants for a wonderful West Indian dining experience in a classic Caribbean setting. Koal Keel was built in the 1700s and operated as a plantation building. Then, it was called "The Warden's Place." It was built by slaves for a family from St. Maarten, later to be taken over by the government. 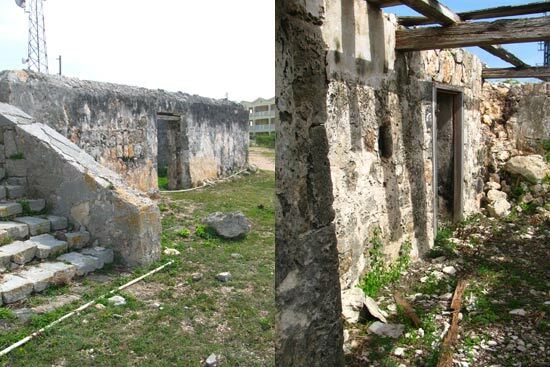 It is often believed that Koal Keel is the oldest building in Anguilla, but in fact, the oldest buildings are across the street where the slaves lived during the construction of Koal Keel. 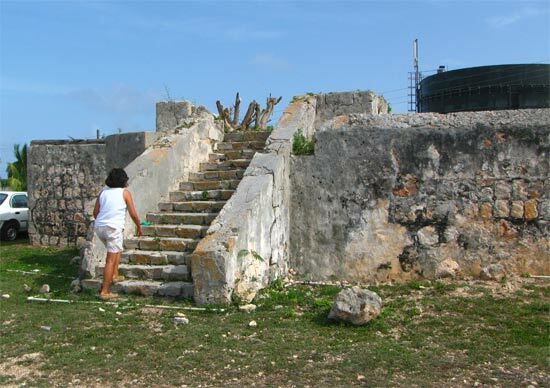 Just up the hill and around the bend, perched high on Crocus Hill (the island's highest point) you will find ruins of what was Anguilla's court house and, in the basement, the jail. This stone structure was torn apart by Hurricane Alice in 1955. From atop those stairs you can see for miles, across Anguilla to St. Martin and beyond! According to the map the court house also operated as a customs office, post office, government business center, and a treasury. How hot, humid and confining! Some inmates did manage to escape, but those who did not were driven to insanity. Some even took their own life. Katouche Bay wins spot #5 for its famous cave. Everyone seems to have a different name for the cave, we were introduced to it as "Iguana Cave," but the official name is Cavannagh Cave. The cave was of large interest for its natural phosphate, it was also frequented by Amerindians and homed a now extinct large rodent local only to Anguilla, St. Martin and St. Barths. It was called the "giant rat." Think of a guinea pig the size of a brown bear. I'm thankful that it looked like a guinea pig and not a rat. Can you imagine running into a rat the size of a bear? You are certainly going to need a bigger piece of cheese! The cave is about a 20 minute hike in from the beach. Click here to read about our hike to "Iguana Cave". 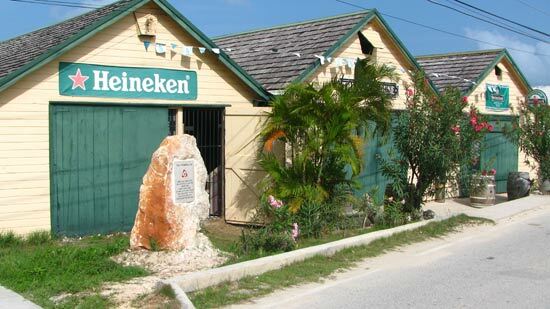 To most of us The Pumphouse is known as one of the best Anguilla bars and spots for Anguilla nightlife. 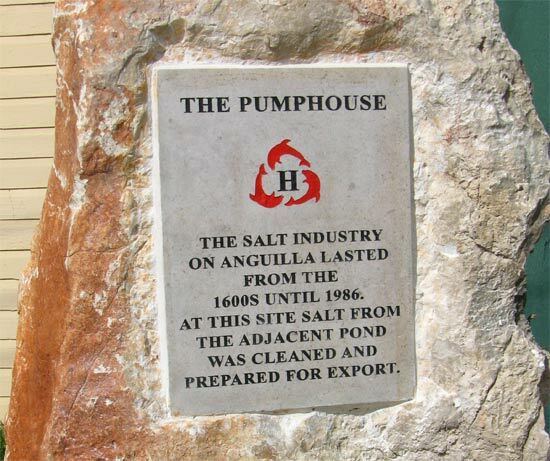 But before playing reggae music and serving a mean rum punch, The Pumphouse was key to Anguilla's salt industry. Road Salt Pond (behind Road Bay/Sandy Ground Beach) was used for salt mining, all the way back to the Amerindian days. Nearly every time we pass by there is always someone pulling up a bucket of water! Who knew so much Anguilla history lived in the roots below as we gulped down frozen mojitos at CuisinArt Anguilla hotel! The Sandy Ground outlook spot on "back street" is a clearing idyllic for taking a breath, stopping and reflecting on Anguilla history. 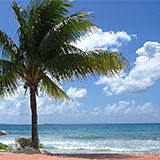 After all, Road Bay has long been Anguilla's main port of entry for sailors and freight ships. The little perch is now complete with benches from which you can enjoy the views of the quaint harbor from high above. Sandy Ground, right around sunset, has always been one of our most deeply cherished sites. 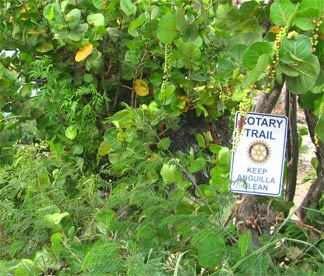 Just next to the benches in the clearing you will spot a "Rotary Trail" sign. The sign leads to a path that snakes along the side of the cliff, all the way down to Sandy Ground's sandy shores. It's a quick, fun hike, not very strenuous or demanding. I did it in my bare feet, up from the beach! Just be sure to bring some water. It gets humid underneath a canopy of dense foliage. 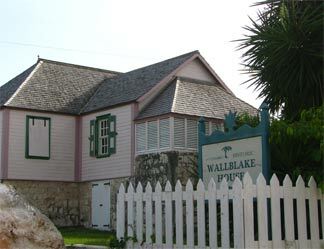 The Wallblake House is one of the great Anguilla historical monuments. It was a plantation home built by Valentine Blake, a sugar planter. It dates back to 1787 and was in use until the 1950s by the Rey family, acting as an economic hub, dealing mainly with the cotton business. The Wallblake House can be toured, and it is something truly worth the effort (you will have to call in advance). 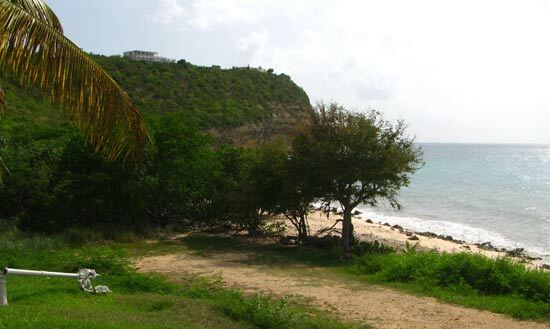 Fully intact plantation homes are otherwise non-existent in Anguilla, and hard to come by in the Caribbean. A special site indeed. Right across the street from The Wallblake House, you will find another Anguilla history point of interest, the Old Cotton Gin Factory. It was a big trading center back in the day. People would come from all over the island to weigh and clean their cotton before shipping it to England. If not famous for its history of "cotton ginning," it is also known as having been Anguilla's bank and only general store. The Factory closed in 1965, and today is home to both Sotheby's Realty offices and a Roland Richardson art gallery in the renovated basement. And so the Anguilla history experience comes to an end! Be sure to keep in touch with me by clicking here to stay up to date as more Anguilla history sites get added to the Anguilla Heritage Trail! My personal tip for the tour? While the Heritage Trail is nicely laid out, I recommend saving The Pumphouse for the end, around supper time. Nothing says "Anguilla history" like ending off the tour in one of the island's most historical sites, sipping on one of the island's most famed drinks, a cool rum punch. 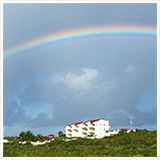 For more on Anguilla history, click here for Anguilla history timeline and culture.